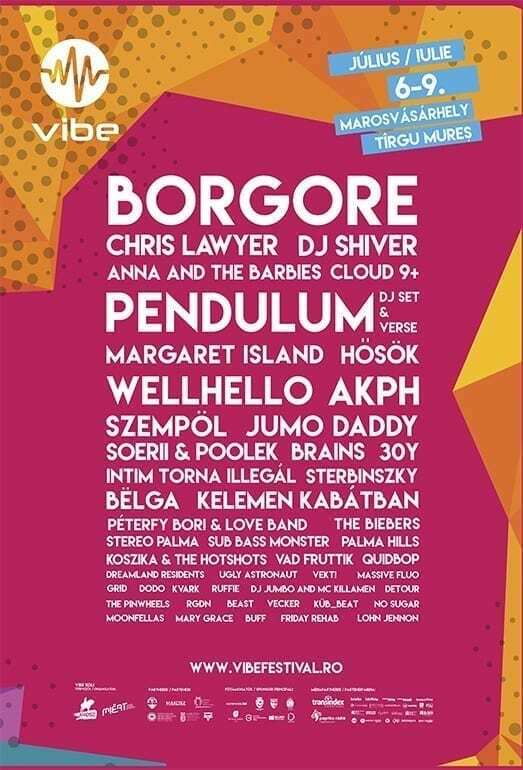 Borgore, Pendulum DJ Set, Chris Lawyer, Sterbinszky, Wellhello, DJ Shiver, Detour and many other artists from Romania and Hungary will have a concert at the newly organised VIBE Festival that takes place in Tirgu Mures near the Weekend Complex (ex-Peninsula) between the 6th and 9th of July, 2017. More than 50 artists will get on the four stages (Magenta Stage, Yellow Stage, Blue Arena and Ferry Factory). The tickets can be purchased online and in 15 cities around Romania. Daily tickets are sold for 49 RON, while a festival pass is 139 RON. If you want to sleep in the camping area, that’s a 20 RON additional cost. The organisers have a group offer until the 20th of June: if you put 5 tickets in your basket, you’ll only have to pay for 4 of them. 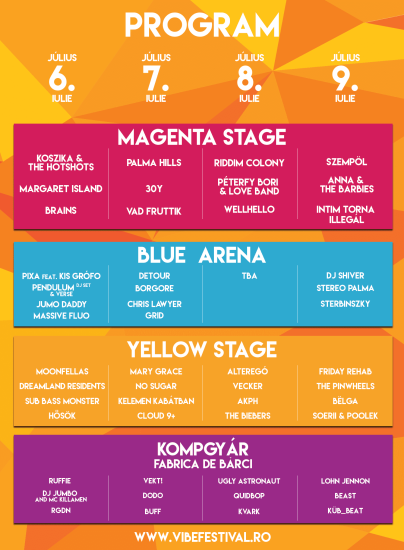 The VIBE summer university and festival was created to offer a meeting point for the young people of Transylvania aged 15-30 that live in different regions. VIBE is a forum for discussions where the youth can express their opinions, where they can listen to speeches or enter conversations concerning the Transylvanian society because they will shape it in the future.